2018 trailer metal / wood deck 20 foot long with slight dovetail, nice hide a way dual ramp system, right at 7 (84 inches wide ) deck width, Dual axles with 15 inch five lug wheel and tire, covered fender wells, steak pocket holes for raised sides, these trailers are very multipurpose perfect for a race car, Show car, off road vehicle, lawn equipment, commercial use etc, just an all around good practical trailer. For financing assistance with multiple credit unions and lenders in state and out of state apply at www.davis4x4.com. (Please realize some vehicles may not qualify with all banks and all out of state situations; feel free to call ahead to verify.) We accept the following forms of payment - Cash, Checks, Debit Cards as well as USAA and Navy Federal preapproval checks. As well as will be more then happy to work with your bank or credit union of choice. We can provide bill of sale copy of title etc. whatever they may request. We also accept cash deals. We assist with transport to all 50 states even outside the country and will be happy to help with this process. Also view our website www.aboveaveragetrucks.com for full listings of our 150 plus stock and lifted, accessorized trucks and Suv's gas and diesel, commercial work trucks, vans, tow trucks / rollbacks, and custom Hauling vehicles of all shapes and sizes. This vehicle is located in 10016 Jefferson Davis Highway, Richmond, VA 23237. CALL TO VIEW THIS VEHICLE (off-site) 1953 Chevrolet 3100 series half ton classic pick up. This truck has an older restoration, very pleasurable truck to drive, came from a large personal collection (as you can see from some of the photos). This truck hits the road, it's a great cruise and even has a vintage AC, power steering, aluminum radiator, disc brakes, and a good shifting automatic transmission. Very nice wood grain bed with stainless trim, rally wheels, dolphin digital gauges (odometer showing 439 miles, we can only assume these are the miles since restoration), upgraded AM/FM digital vintage stereo, nice reupholster seat, floor shift, automatic transmission, heat and AC system under the dash installed clean and properly, even the proper Chevrolet VIN tag still in the door. Nice clean chrome and stainless trim and all where its suppose to be. With the right set of wheels and tires, this could be a great retro truck or just enjoy it as it is on its classic rally wheels and radial tires. We have driven this truck and enjoy the way it rides and drives it gets a pile of attention and it's not a truck, but youre free to park in a parking lot technically it could still be used as a nice around the house truck. It can still haul items if necessary. For more info call 804-357-9768. Believe it or not some limited financing options are available. For financing assistance with multiple credit unions and lenders in state and out of state apply at www.davis4x4.com. (Please realize some vehicles may not qualify with all banks and all out of state situations; feel free to call ahead to verify.) We accept the following forms of payment - Cash, Checks, Debit Cards as well as USAA and Navy Federal preapproval checks. As well as will be more then happy to work with your bank or credit union of choice. We can provide bill of sale copy of title etc. whatever they may request. We also accept cash deals. We assist with transport to all 50 states even outside the country and will be happy to help with this process. Also view our website www.aboveaveragetrucks.com for full listings of our 150 plus stock and lifted, accessorized trucks and Suv's gas and diesel, commercial work trucks, vans, tow trucks / rollbacks, and custom Hauling vehicles of all shapes and sizes. This vehicle is located in 10016 Jefferson Davis Highway, Richmond, VA 23237. EZ-GO custom limo golf cart. Big block gas motor. Vanguard 23 HP engine. Custom touches all over. Painted on graphics , color match wheels, lifted with aggressive tires, roll bar, Tinted windshield, LED lights, ATV tubular A-arms suspension, coilover adjustable shocks at all four wheels, storage compartment in the back, tow receiver in the front for rod rack or cooler etc., diamond plated flooring, custom pedals and steering column. This unit could have a rear seat added to give it seating for even more people. Very custom the way it is set up. Run strong and is very quick. Gets a ton of attention with all the custom colors and features. Layaway/short term finance option available call for details! 1970 Chevrolet C10 regular cab short bed restored Silverado pickup. This truck we could not ask for it to be any nicer. What we have been told and from all that we can verify this is a 61,000 original mileage truck that only had to undergo a very very light restoration (the dash paint, under the hood paint is all still original 0E from 1970 from what we are told). This truck has a mild built small block, B and M floor shifter, very nicely upholstered door panels and seat with a new fresh carpet kit. We do have the original instrument cluster surrounding trim as well as the original steering column with shifter on the column. Other nice upgrades this truck has are powder coated rally wheels, front disc brakes, fresh BFGoodrich tires, clean no scratched glass with vent windows, long tube headers, Edelbrock carburetor and intake, lokar cables and throttle, bed cover, spray in liner, roll pan installed impeccably well, dual exhaust and we could keep going but you get the picture. Call for details view our YouTube channel for video. For financing assistance with multiple credit unions and lenders in state and out of state apply at www.davis4x4.com. (Please realize some vehicles may not qualify with all banks and all out of state situations; feel free to call ahead to verify.) We accept the following forms of payment - Cash, Checks, Debit Cards as well as USAA and Navy Federal preapproval checks. As well as will be more then happy to work with your bank or credit union of choice. We can provide bill of sale copy of title etc. whatever they may request. We also accept cash deals. We assist with transport to all 50 states even outside the country and will be happy to help with this process. Also view our website www.aboveaveragetrucks.com for full listings of our 150 plus stock and lifted, accessorized trucks and Suv's gas and diesel, commercial work trucks, vans, tow trucks / rollbacks, and custom Hauling vehicles of all shapes and sizes. Engine: Vortec Aluminum Block 5.3L V8 315hp 338ft. lbs. 2007 Chevrolet Silverado 1500 4 x 4 Crew Cab Short Bed LT Edition Pick Up. The truck is riding on 20 inch premium alloyed wheels and Goodyear tires. It has a very nice Trifold bed cover, spray in bedliner, tow package, aftermarket CD touchscreen stereo with bose, 5.3L V8 Vortech motor, cold air intake, tow package, freshly serviced and inspected at the GM dealership. This truck checks out well and runs out strong. It does have rust - I repeat this truck has cosmetic rust no frame rust no mechanical issues related to it - completely cosmetic and yes we see it. Yes we know it's there but it does not affect the mechanicals of this vehicle one bit. The rust is all completely cosmetic. This would be an easy fix but unfortunately our body shop is far behind and cannot get to it at this moment. It would not be a very expensive fix but we are being very upfront about the fact that it is there. Finance options are available - apply at www.davis4x4.com - cash deals are welcomed, USAA and Navy Federal checks accepted. We will also assist you in working with the bank or credit union of choice. We want the customer to get the easiest and most proper solution available. This vehicle is at our 10016 Jefferson Davis Highway, Richmond, VA 23237 location. "GMC Yukon XL SUV SLT Suburban Fully Loaded. Custom all around, two-tone black and gray interior, full mats, premium Bose stereo lifted 4-5""s riding on new chrome 20"" wheels and brand new 33"" Nitto all terrain tires, custom paint (all candy pearl, all clear coated, extremely well done). Other options include: woodgrain trim, tinted windows, rear flip seats, running boards, rear heat and AC, roof rack, tow package, vent visors, and multiple recent service and maintenance items just performed. This monster SUV really stands out in the crowd and is a great family vehicle. 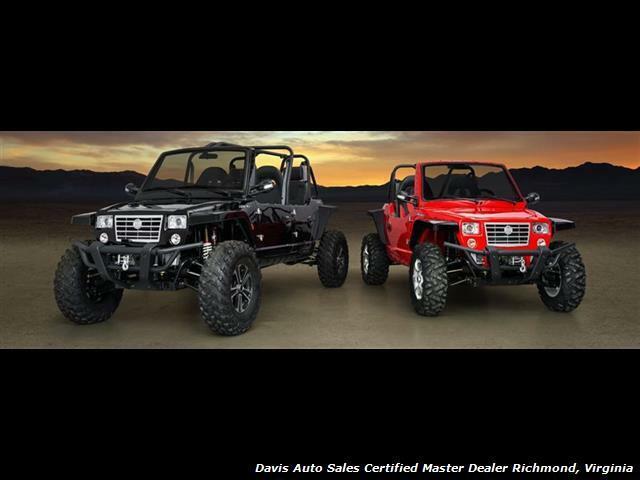 For financing assistance apply at www.davis4x4.com. We also accept USAA and Navy Federal Checks as well as will be more then happy to work with your bank or credit union of choice. We can provide bill of sale copy of title etc whatever they may request. We also accept cash deals. We assist with transport to all 50 states even outside the country and will be happy to help with this process. Also view our website www.aboveaveragetrucks.com for full listings of our 150 plus stock and lifted, accessorized trucks and Suv's gas and diesel, commercial work trucks and vans, Tow trucks / rollbacks, and custom Hauling vehicles of all shapes and sizes. This vehicle is at our 10016 Jefferson Davis HIghway, Richmond, Va. 23237 location." 1995 Ford F700 (CF7000 Cargo Series) large roll up rear door box truck/work commercial van/delivery van with lift gate. This vehicle is powered by 5.9L diesel engine and the body and box size are as follows 24 foot length 8 foot width and 7 foot 9 height. This truck is priced very fairly for a diesel, does have some leaks from the engine we are not sure what or where, does not affect the running and driving one bit. Has been freshly serviced and inspected with multiple service items performed, all filters changed, and is a very affordable ready to go mobile billboard of a truck. Company logo wrapped on the side even if you didnt use the truck very much it would pay for itself in advertising. Call for questions or details. For financing assistance with multiple credit unions and lenders in state and out of state apply at www.davis4x4.com. (Please realize some vehicles may not qualify with all banks and all out of state situations; feel free to call ahead to verify.) We also accept USAA and Navy Federal checks as well as will be more then happy to work with your bank or credit union of choice. We can provide bill of sale copy of title etc. whatever they may request. We also accept cash deals. We assist with transport to all 50 states even outside the country and will be happy to help with this process. Also view our website www.aboveaveragetrucks.com for full listings of our 150 plus stock and lifted, accessorized trucks and Suv's gas and diesel, commercial work trucks, vans, tow trucks / rollbacks, and custom Hauling vehicles of all shapes and sizes. This vehicle is located at our 800 E. Hundred Road, Chester, VA. 23831 location. 2005 Chevrolet Express Cargo 3500 short dual rear wheel utility / box van work truck. Box size approximately 12 foot with roll up rear door and side access door. Has E channel racking through out for easy tie down of cargo. Serviced and inspected detailed and ready to put to use. This van has very reasonable mileage and is ready to go. Please call to make arrangements to view this vehicle - it is off site. For financing assistance with multiple credit unions and lenders in state and out of state apply at www.davis4x4.com. (Please realize some vehicles may not qualify with all banks and all out of state situations; feel free to call ahead to verify.) We also accept USAA and Navy Federal checks as well as will be more then happy to work with your bank or credit union of choice. We can provide bill of sale copy of title etc. whatever they may request. We also accept cash deals. We assist with transport to all 50 states even outside the country and will be happy to help with this process. Also view our website www.aboveaveragetrucks.com for full listings of our 150 plus stock and lifted, accessorized trucks and Suv's gas and diesel, commercial work trucks, vans, tow trucks / rollbacks, and custom Hauling vehicles of all shapes and sizes. This vehicle is at our 800 East Hundred Road, Chester, VA 23236 location. 1991 Mitsubishi mini cab TD 12 valve Right side drive manual shift mini truck pick up with removable fold downsides. We do not know much about these vehicles. This one we fully serviced and inspected and went over it, riding on basically new tires this right side drive manual five speed transmission has upgraded cd player stereo, a PA system, seating for two, with a right at 6 foot long bed that has fold down sides and tailgate, and runs out very well. We have driven this truck a little over 100 miles with no issues at all operates perfectly in all ways. We assume that the gauges are in kilometers so the mileage/kilometers we posted are as it shows on the truck. Flat bed, farm use, on sight plant / factory truck or whatever the use, this is one cool truck. This vehicle is at our 10016 Jefferson Davis Highway, Richmond, Va. 23237 location. "2018 Sunsation 32CCX Center console step hull Performance Boat. Powered by twin mercury 400R Verado outboard engines. This boat has just been custom built for us as one of Sunsations newest dealer and everybody went all in and the extra mile to make this boat amazing! Starting with Full one offcustom paint by Mitcher T with lots of extra details custom inlanes, many coats of overlapping designs and eye catching tasteful colors, more custom touches then the photos can show. Interior exclusively designed with Diamond dual stitched interior with custom embroidery, Fusion/JL audio premium stereo with remote control pad in bow, additional battery, dual 12"" Garmin 7612 touchscreen monitors / gps, Mercury system view, carbon fiber trim package, Texillium dash panels, LED interior light package including underwater lights and even the cup holders light up, black actual gel bottom, trim tabs with indicators, cabin with window and pump out Porta potty, sea deck flooring, roof mounted sun pad lounge (comfortable area for the women to enjoy laying out instead of in the seating of the boat), Isotta steering wheel, full canvas storage enclosure ($4500.00), rod holders, Fortress anchor with 100 foot line, extra battery (3) and battery charger system, swim ladder with grab handle and so much more. This is not a production build this is a custom build with all our desired touches. This boat is brand new and unused 0 hours unlike most boats that are claimed to be new but have been demoed. Literally fresh from the manufacturer. We built this boat with absolutely no expense spared to simulate what potential these 32s have to be bad a$& boats. Fit finish and performance all in one!! Comfortable room for 12 plus people, incredible stereo, built in coolers, live wells, and plenty of storage for a enjoyable day on the water, or actually go out and fish with it! Some photos were taken after paint not fully dressed or during the build process. More photos available per request. Boat is finished and in a heated warehouse make a appointment to come take a look. Title to boat and trailer free and clear in hand, zero delays to own this boat and be enjoying it. Triple axle trailer shown 2018 is available for additional cost. Transportation available nationwide. Call for any questions and details 804-357-9768 JW Davis direct phone # or www.daviswatersports.com. We also sell and carry custom Hauler trucks, lifted and accesorized pickups and suvs gas and diesel and commercial fleet vehicles. We will be happy to custom order in a Sunsation of your dreams , 32 foot or 34 foot or soon to come 39 whatever you desire. No extra cost to build a boat your way exactly to your specifications. Try that with any other manufacturer and see what answer you get. Sunsation blows the competition of high end boats away in customer service, product knowledge and best off they keep there promises!!! Prospective buyers can schedule a tour of the factory with us at any time let us know how we can make you part of the growing Sunsation Family. Triple axle Trailer shown in photos available at additional cost." 1996 Chevrolet Silverado 1500 C / K extended cab flare side / step side 2WD pick up. This truck does have a few miles on it but its 350 Vortec V8 checks out great, we just installed a brand new factory GM transmission with a one-year unlimited mileage warranty. Freshly serviced and inspected by our GM certified technician and made all other necessary repairs. Aftermarket Wheels, Bedliner, wood grain trim, six passenger seating, aftermarket CD player, tow package, trailer brake control, bug shield, tinted windows, fiberglass, runningboards, Vortec 5.7 350 V8 engine, ready to go for 200k more miles!! For financing assistance apply at www.davis4x4.com. We also accept USAA and Navy Federal Checks as well as will be more then happy to work with your bank or credit union of choice. We can provide bill of sale copy of title etc whatever they may request. We also accept cash deals. We assist with transport to all 50 states even outside the country and will be happy to help with this process. Also view our website www.aboveaveragetrucks.com for full listings of our 150 plus stock and lifted, accessorized trucks and Suv's gas and diesel, commercial work trucks and vans, Tow trucks / rollbacks, and custom Hauling vehicles of all shapes and sizes. 2000 Ford Excursion limited 4x4 SUV. This Excursion is riding on like new Michelin tires and equipped very well. You would never know the mileage that it has. It does not have a third seat (easily obtainable through most any junkyard) and the front seats have the typical wear and tear and are covered with seat covers. Options include: front and rear heat and AC, CD player, woodgrain trim, roof rack with visors, alloy wheels, side steps, bug shield, tow mirrors, tow package, V10 Triton engine. For financing assistance apply at www.davis4x4.com. We also accept USAA and Navy Federal Checks as well as will be more then happy to work with your bank or credit union of choice. We can provide bill of sale copy of title etc whatever they may request. We also accept cash deals. We assist with transport to all 50 states even outside the country and will be happy to help with this process. Also view our website www.aboveaveragetrucks.com for full listings of our 150 plus stock and lifted, accessorized trucks and Suv's gas and diesel, commercial work trucks and vans, Tow trucks / rollbacks, and custom Hauling vehicles of all shapes and sizes. This vehicle is at our 10016 Jefferson Davis HIghway, Richmond, Va. 23237 location. Engine: 6.4L Diesel Turbo V8 350hp 650ft. lbs. 2014 ford super duty f250 crew cab short bed Lariat 6.7 powerstroke diesel lifted 4x4. This fully decked out truck is riding on approximately 4 Carli suspension lift with Fox reservoir shocks, radius arm drops, and brand new 35 mud terrains on 20x12 Cali Off road wheels black and machined. Other upgrades include: custom N-FAB Tubular front bumper with LED light bar custom color match painted grill, smoked and painted head lights with LED light strip, color match fender flares, tonnopro bed cover, Tow package, tow mirrors, rearview camera, heated and cooled power leather seats, weather tech floor mats, Premium touchscreen stereo with navigation and Microsoft sync communication, upgraded Mishimoto fully aluminum radiator with coolant filteration system, Cold air intake system, and the list could just keep going. This power stroke 6.7 truck has the look and stance!!! For financing assistance with multiple credit unions and lenders in state and out of state apply at www.davis4x4.com. (Please realize some vehicles may not qualify with all banks and all out of state situations; feel free to call ahead to verify.) We also accept USAA and Navy Federal checks as well as we'll be more than happy to work with your bank or credit union of choice. We can provide bill of sale, copy of title, etc. - whatever they may request. We also accept cash deals. We assist with transport to all 50 states even outside the country and will be happy to help with this process. Also, view our website www.aboveaveragetrucks.com for full listings of our 150 plus stock and lifted, accessorized trucks and SUV's, gas and diesel, commercial work trucks, vans, tow trucks/rollbacks, and custom hauling vehicles of all shapes and sizes. This vehicle is at our 10016 Jefferson Davis Highway, Richmond, Va. 23237 location. 2011 GMC 1500 savanna commercial work / cargo van with stability track. This van is freshly serviced and inspected, we just installed four brand new 10 ply heavy duty E range tires and as well as recently replaced transmission. Options include: CD player, cruise control, tilt steering wheel, power windows and power door locks, this is a very well equipped work/commercial use van. This van has higher mileage, but you would absolutely never know it with not one single solitary thing holding this van back from being mistaken for a 60-70k mileage van. These Vortec 4.3 engines have been known to go 7-800,000 miles without a struggle. The technology of these vans is amazing ready to put to work immediately and make money we even are still offering it with our standard warranty we have no fears with this vehicle whatsoever. For financing assistance apply at www.davis4x4.com. We also accept USAA and Navy Federal Checks as well as will be more then happy to work with your bank or credit union of choice. We can provide bill of sale copy of title etc whatever they may request. We also accept cash deals. We assist with transport to all 50 states even outside the country and will be happy to help with this process. Also view our website www.aboveaveragetrucks.com for full listings of our 150 plus stock and lifted, accesorized trucks and Suv's gas and diesel, commercial work trucks and vans, Tow trucks / rollbacks, and custom Hauling vehicles of all shapes and sizes. Similar to: express, chevy, chevrolet, 1500, 2500, 3500 This vehicle is at our 10016 Jefferson Davis Highway, Richmond, Va. 23237 location. 2018 Oreion reeper two-door sport 1100 cc 4cyl two seater manual UTV ATV. This particular unit is equipped with powder coated alloy 15 inch wheels and aggressive treaded DOT and off-road tires, stereo, tubular front bumper with winch, tow hitch, trailer wiring harness, coil over reservoir shocks with lift, skid plate, pushbutton 4x4, Locking front and rear differentials, horn, signals, brake lights, high low beam HRD style lights, seatbelts, dual exhaust, tow receiver loop hooks, and much more. We have been driving our demo model quite a bit and these are a blast to drive on and off the road. And nothing short of extreme attention getters everywhere you go these things stand out in the crowd. Stop by and see these things in person and let us show you what the potential is. We are proud to be one of the very few Elite Dealers for Oreion Street / Off Road 2 and 4 door buggies. Basically miniature Jeeps these 4x4 machines are powerful and street drivable in most states with amazing features that make them practical and very affordable. With all the creature comforts of a street machine, but off road ability similar to a Side by Side RZR, Artic Cat, Can-am etc. Perfect for running the sands of the OBX or climbing the trails of Busco Beach or the Hatfield / Mccoy trails. Some features include front and rear locking Diffs, manual shift transmission, up to1100cc engines, standard install on all units front bumpers and winch, and much more. These units are NADA and KBB recognized so finance options should not be a problem and accessories galore are right around the corner. Our 9 bay service facility is ready for all service and upgrade items needed and our staff is trained to make these units trouble free. Below is a list of features per unit and we are ordering these in as fast as we can to hopefully keep up with the growing demand. Starting at $15,495 - $19,995. Price points are incredible for what you get for your money!!! Call for details and put your order in for the next batch to arrive. 804-271-0030. This vehicle is at our 10016 Jefferson Davis Highway, Richmond, Va. 23237 location. Engine: 5.7L V8 255hp 330ft. lbs. 1998 Chevrolet Tahoe LT edition 4x4 lifted SUV four door. This Tahoe is not cosmetically perfect as the photos show the hood and one side have paint fade/clearcoat peeling. No rust, very solid, and well options, locally owned vehicle. We just freshly lifted this truck 6 inches of lift all suspension with fresh 35 inch all terrain tires on Black and Machine two toned 18 inch alloy wheels. Tow package, barn doors, tinted windows, sidesteps, aftermarket CD player, overhead console, cloth/leather seats, roof rack, aftermarket taillights, and much more. Freshly serviced and inspected, detailed, and undercarriage sprayed for protection. Again this truck has got solid bones with no rust, but is going to need some paint in the near future depending on how picky you are. Jump in ride and drive very dependable vehicle. Limited financing assistance apply at www.davis4x4.com. We also accept USAA and Navy Federal Checks as well as will be more then happy to work with your bank or credit union of choice. We can provide bill of sale copy of title etc whatever they may request. We also accept cash deals. We assist with transport to all 50 states even outside the country and will be happy to help with this process. Also view our website www.aboveaveragetrucks.com for full listings of our 150 plus stock and lifted, accessorized trucks and Suv's gas and diesel, commercial work trucks and vans, Tow trucks / rollbacks, and custom Hauling vehicles of all shapes and sizes. Engine: Triton 5.4L V8 255hp 350ft. lbs. 2004 Ford Excursion XLT 4x4 Monster SUV. This vehicle is a locally owned, one owner, rust free vehicle. Upgrades include: one size over factory MT tires, Triton 5.4 V8, duel exhaust, alloy wheels, tow package, third seat, roof rack, running boards, front and rear heat and AC, CD player, power seat with lumbar, full power options and much more!! It has been freshly serviced and inspected at the Ford dealership. Detailed undercarriage spray for protection. This vehicle is ready to put the family in and enjoy. These Excursions are getting harder to find - especially rust free! We are thankful to have a great selection of them at this time. There are many to choose from - gas, diesel, v8 and v10. We have driven this SUV several hundreds of miles personally with absolute no issues what so ever. Good affordable transportation, but does have higher mileage. For financing assistance apply at www.davis4x4.com. We also accept USAA and Navy Federal Checks as well as will be more then happy to work with your bank or credit union of choice. We can provide bill of sale copy of title etc whatever they may request. We also accept cash deals. We assist with transport to all 50 states even outside the country and will be happy to help with this process. Also view our website www.aboveaveragetrucks.com for full listings of our 150 plus stock and lifted, accessorized trucks and Suv's gas and diesel, commercial work trucks and vans, Tow trucks / rollbacks, and custom Hauling vehicles of all shapes and sizes. This vehicle is at our 10016 Jefferson Davis HIghway, Richmond, Va. 23237 location. 2003 Hummer H2 SUV 4X4. 6.0 V8 engine, stock overall, vehicle freshly serviced and inspected, 4 brand new tires, just replaced both side GM faulty manifold gaskets and hardware, new front and rear brakes, extra keys and remote, very well loaded Hummer H2, reasonable miles, and great price, Hummer checks out well and has lots of life ahead of it. For financing assistance apply at www.davis4x4.com. We also accept USAA and Navy Federal Checks as well as will be more then happy to work with your bank or credit union of choice. We can provide bill of sale copy of title etc whatever they may request. We also accept cash deals. We assist with transport to all 50 states even outside the country and will be happy to help with this process. Also view our website www.aboveaveragetrucks.com for full listings of our 150 plus stock and lifted, accessorized trucks and Suv's gas and diesel, commercial work trucks and vans, Tow trucks / rollbacks, and custom Hauling vehicles of all shapes and sizes. This vehicle is at our 10016 Jefferson Davis HIghway, Richmond, Va. 23237 location. 1998 Crew Cab Short Bed Chevrolet Silverado Centurion Edition 4X4 (originally 1500 series now 3500 series) One Ton With Solid Axle Swap. This truck started life rare, then got even more rare with its upgrades. SAS, Dana 60 swap, 4.88 gears front and rear with full rebuilds, Detroit Locker true trac in rear, upgraded warn hubs, crossover steering, new steering gear box, fox shocks, custom exhaust, trac bar, dual steering stabilizers, Nerf bars, spray in bedliner, new drive shafts, riding well over 35 inch, Toyo MTs 18X14, Moto metal wheels, full freshly done custom interior two-tone leather, new carpet, CD player, tinted windows, dual cooling fans, multiple recent service items, freshly aligned, new brakes, inspection. This is one cool project, could still use some cosmetic touches to make it perfect, but overall a great start and big money spent to get to this point. No documentation, but does have Reman upgraded engine and trans done reasonably recently. Did verify the remanufacturing tags on both items. A whole lot of truck and a very rare combo. You could spend more than the asking price tackling a project like this before even having the truck! !This is an online price reduction for out of state and internet buyers.... Lot prices are higher than this reduced price be sure to tell your salesperson you saw the online discounting and to honor the online discount deal pricing. For financing assistance apply at www.davis4x4.com. We also accept USAA and Navy Federal Checks as well as will be more than happy to work with your bank or credit union of choice. We can provide bill of sale copy of title etc whatever they may request. We also accept cash deals. We assist with transport to all 50 states even outside the country and will be happy to help with this process. Also view our website www.aboveaveragetrucks.com for full listings of our 150 plus stock and lifted, accesorized trucks and Suv's gas and diesel, commercial work trucks and vans, Tow trucks / rollbacks, and custom Hauling vehicles of all shapes and sizes. Polaris Ultra Snowmobile Xtra-12. 2672 miles, appears to be in great shape, and fully operation. A whole lot of fun packed into a affordable toy. We bought this unit out of state and brought it in. It's one of very few things we can say we had never owned until now. Call for details! !